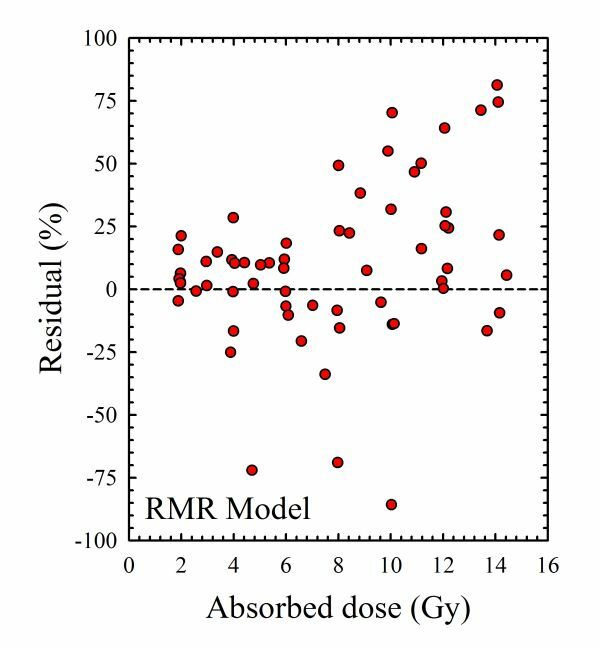 RT112 human bladder cancer cells were irradiated by gamma-rays from Co-60 (dose rates of 0.6, 1.2, 3, 6,12,30 and 76.8 Gy/hour). Measured data (filled symbols) were digitized from the published figures using UnGraph. In the published figures (Almodovar et al. 1994), several estimates of the surviving fraction are reported for each type of exposure. 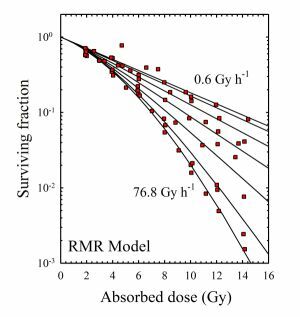 In the processed dataset shown below, surviving fraction data for the same type of exposure scenario (dose and dose rate) are averaged together. 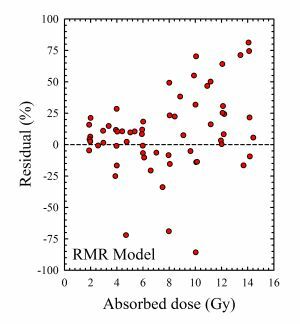 The calibrated LPL, RMR, and TLK input files give equally good fits to the measured data as a function of dose and dose rate (solid black lines in the surviving fraction vs. dose plot). Ruiz de Almodovar, JM, Bush C, Peacock JH, Steel GG, Whitaker SJ, McMillan TJ. 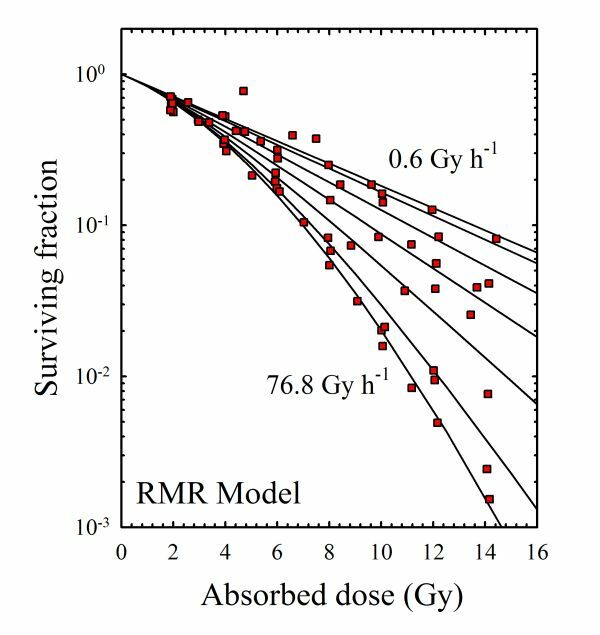 Dose-rate effect for DNA damage induced by ionizing radiation in human tumor cells. Radiat. Res. 138, S93-S96 (1994).